In 1985, the Office of the Assistant Secretary for Housing-Federal Housing Commissioner released a statement that expressed her concern with a real estate and housing scheme known as equity skimming. Equity skimming is a crime and can cause a person to lose his or her home, equity, and credit rating all in one fell swoop. Though the commissioner and other regulatory agencies have taken measures to combat equity skimming in recent years, the scheme continues to pop up here and there, leaving desperate homeowners even more desperate than before they had made the deal. If you own a home in Fort Lauderdale and are in over your head with mortgage payments, you may be quick to accept the first deal available to you that promises to rid you of your financial obligation. While equity skimming is not as common as it once was, it still occurs, which is why you and other homeowners should be able to recognize the signs of it to avoid the scam entirely. A “buyer” approaches you and offers to get you out of financial trouble by offering to either pay you a large sum of money when the property is sold or to take over your mortgage payments. In exchange, you must agree to move out immediately and hand over the title to your property, which you can do via a quick-claim deed. The “buyer” may offer to let you stay in your home in exchange for rent payments. The “buyer” collects monthly rent payments but does not make any payments toward your mortgage, thereby forcing your lender to foreclose on your property. In the end, you lose everything, including your cash and your credit rating, and the “buyer” has made a profit at your expense. Sadly, many homeowners believe they can avoid foreclosure and relieve themselves of their financial responsibilities by handing over the deeds to their properties. However, just because you hand over the title to your property does not mean you are off the hook for making payments. Your relationship with your mortgage company is separate from your deed and the only way you can relieve yourself of your mortgage is to ensure someone else takes over the responsibility of it by going through the lending institution in question. 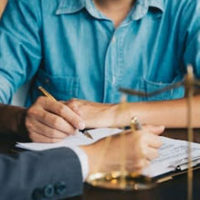 Whether you suspect you are the victim of equity skimming or you want to avoid real estate scams during your quest for a buyer, work with a Fort Lauderdale real estate attorney as soon as you decide to sell. Contact the law office of Edward J. Jennings, P.A., today to discuss the best way to sell without hurting yourself or your financial future.